Our team has a legacy of successful investments and inspired entrepreneurship. Partner and President, Tucson Capital Partners - Private equity firm focused on multifamily residential and self-storage assets. Between 2008 and 2013, the company completed more than 55 bank-direct acquisitions, deploying over $500MM of capital. He successfully exited in 2013. 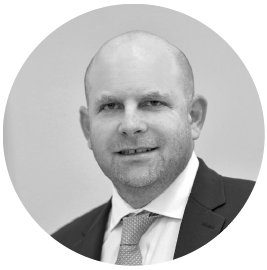 Principal & Co-founder of Adjacent Capital - Private equity/specialty lending fund where he oversaw the sourcing, origination, structuring and closing of over 60 transactions in a 3 year period. He also became a turnaround specialist through his time at Treadstone Partners and San Jacinto Partners. 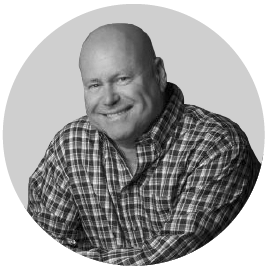 He is known and respected in the cannabis industry as one of the successful early investors. President & CEO of Pinnacle Financial Group - $1billion investment firm where Todd brought his strengths of negotiation and rebuilding companies along with an international network of strategic capital partners. President & COO - International Assets Advisory - Over his ten year tenure he was responsible for streamlining operations and pivotal in growing its client base. Football Franchise President & Owner - In his role as team at the Arizona Rattlers, Orlando Predators, and Tampa Bay Storm, he revitalized the three professional franchises, a move that raised the sales valuation of the Orlando Predators to 8X its previous worth - the highest valuation in the industry. He is a 15-year member of YPO/Gold - Founded Orlando’s Chapter and is on the Board of Directors. Miami Angels – Co-Founder - Andy is a very successful angel investor with a passion for guiding executives through complex situations and corporate development. His broad areas of expertise include strategic partnerships; executive coaching; business development; joint venture (JV); merger and acquisition (M&A); investments; and organizational restructuring. CBS SportsLine - President of Corporate & Business Development - Andy led this venture-backed interactive media business in corporate and business development, accelerating its growth from 6 to 685 employees, generating hundreds of millions in revenue through its IPO in ’97 and ultimately sale to CBS. MovieFone – Vice President of Business Development. - After MovieFone acquired his company, Interactive Services, he went on to head their growth efforts through their IPO in ‘94. MovieFone was sold to AOL in ’99. While no longer a practicing attorney, he was admitted to the New York, Connecticut, and Washington, D.C. bar associations. Co-Founder & CEO - AFS Acceptance - His company provided financing for the purchase of cars for consumers with limited or poor credit histories. During the 16 years, he steered the company through credit cycles, a successful turnaround and a complete business model transformation. In 2010, he structured a spinoff and leveraged buy-out of AFS’ other two operating partners, consolidating full ownership and control. In 2015, he negotiated a strategic sale of AFS to Credito Real SAB de CV, Mexico’s largest non-bank financial institution listed on the Mexican Stock Exchange. Director of Business Development for GovWorks, Inc. - An internet start-up in the e-government sector, whose story was documented in the film Startup.com. Mr. Szapiro started his career in equity research before moving to private equity. Managing Director Wachovia Bank - Tiffany has been a seasoned leveraged finance professional her entire career. She is responsible for originating, underwriting, syndicating and closing some of the largest leveraged loans in the market at the time. Tiffany’s coverage of the M&A markets to the private equity firms allowed her network to expand to large national and international syndicated transactions where she was responsible for closing over $1B in leveraged loans. Managing Partner TPL Analytics - After her retirement from leveraged finance, she founded a firm specializing in investing in real estate and Cannabis investments on behalf of private equity, legal and high net worth professionals. Tiffany is responsible for all facets of the deal process from cultivating deal flow to underwriting and closing deals on behalf of her network of investors. Tiffany has brought over $20MM of capital to 8 transactions over the last 3 years in the Cannabis space. Florida State University, BS in Finance. Tiffany is married with two children and lives in the South Florida area where she enjoys training for Ironman and Marathon Races. With 9+ years of finance & accounting experience, Matthew brings a diverse skillset to the Cresco team. 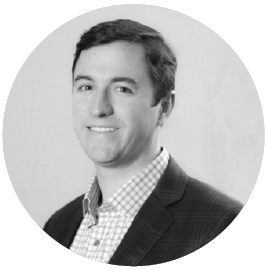 Previously, Matthew co-founded Drive Casa LLC, a subprime auto sales & finance company based in Dallas, TX. While at Drive Casa, he served as the Company’s CFO and helped grow the startup into a scalable, multi-location business. Prior to Drive Casa, Matthew spent over 5 years working for J.P. Morgan’s Investment Bank in New York. At J.P. Morgan, he helped advise public and private real estate, gaming & lodging firms on M&A, capital raising and other corporate finance decisions. Prior to J.P. Morgan, Matthew worked at Hunt Realty Investments in Dallas, focusing on new investments in startup real estate operators. Matthew graduated from the University of Texas at Austin with a bachelor’s degree in Finance and a minor in Accounting.